The ASUS PCE-AC55BT B1 PCIe Wi-Fi adapter provides superior dual-band AC1200 Wi-Fi performance for server backbone and switching infrastructure applications, it delivers wide compatibility, fitting any x1, x2, x8, or x16 slot. 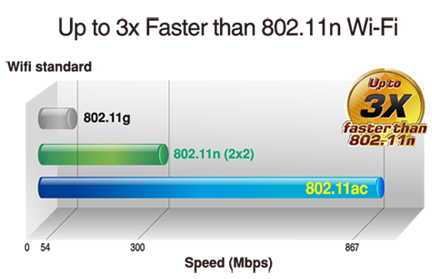 With 80MHz bandwidth and higher modulation scheme, PCE-AC55BT speeds up to 867Mbps on the 5 GHz band that’s 3 times faster than standard 802.11n Wi-Fi , allowing you enjoying faster and more stable connections. Besides, high-speed design and powerful antenna ensures long range wireless coverage. The PCE-AC55BT B1 is an 802.11ac dual-band 2x2 PCIe Wi-Fi adapter with speeds up to 867Mbps on the 5 GHz band that’s 3 times faster than standard 802.11n Wi-Fi. It also includes a dual mode Bluetooth 4.2 and can connect to the latest BLE product. With the latest Bluetooth 4.2 and Bluetooth Low Energy (BLE) technology, it is suitable for applications of IoT, healthcare, fitness, beacons, and home entertainment. 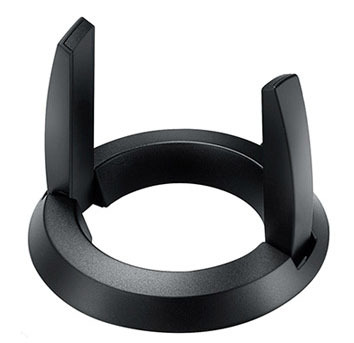 The stylish External antenna base provides better coverage , speed, and more flexibility in adjusting antenna placement to get the best signal reception quality possible.